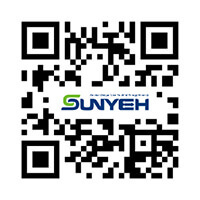 SE Explosion-proof Spring Return Fail-safe Electric Actuators from Sun Yeh Electrical Ind. 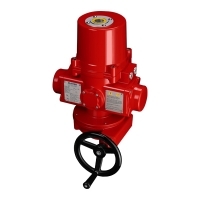 Co., Ltd.
Sun Yeh explosion-proof electric spring return fail-safe actuators, in addition to normal function (floating control, two-position control, modulating control) are designed to provide fail-safe positioning of valves and dampers upon loss of voltage supply. A mechanical spring set is utilized to position the controlled device to either the fully OPEN or fully CLOSED position, without any external power source. 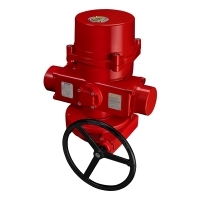 For two-position type actuator, a mechanical BUFFER is employed at the end of the spring stroke, in order to reduce the dynamic effects of the spring return system. A clutch-less and lever-less manual override is optional for standard units to provide full-time manual positioning of the controlled device. 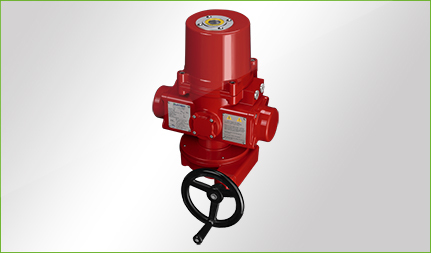 The SE series explosion-proof spring return fail-safe actuator is structured as flame-proof and combustible dust-proof. The directive and standards marking is II2GD Ex db IIB T4 Gb, Ex tb IIIC T130°C Db. 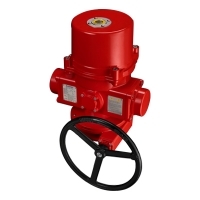 where it is classified as Zone 1 or Zone 2, containing Group IIA and Group IIB gases, Zone 21 or Zone 22, containing the combustible dust atmosphere or a mixture of explosive gas atmospheres and combustible dust atmospheres. Temperature group T1 to T4. Note：Motor power is based on 110VAC, 60Hz.